From the Deluge Lake area is a nice view of Mount of the Holy Cross and Mount Jackson, seen here beyond Vail Mountain's Benchmark Ridge. 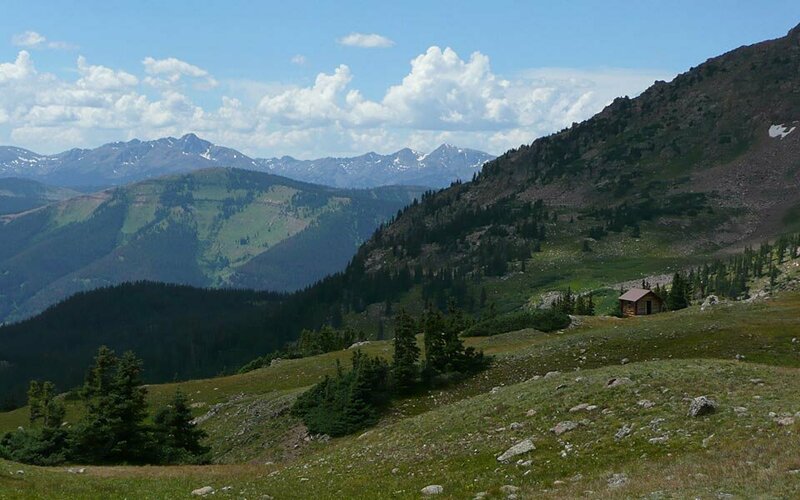 The tiny cabin on the right side of the photo was built, presumably, on a private inholding within the Eagles Nest Wilderness. It is left open to be used by hikers as emergency shelter. Except for it, you'll see no man-made structures along the four mile hike to Deluge Lake.